Triton College welcomed students and the community to the “River Grove Honor Day” by the gardens September 7. The event, hosted by Triton College president, Dr. Patricia Granados, was an evening of mingling and networking. Triton prestige powers such as Dr Quincy Martin went around and met guests including the Village President Marilynn May, and a few of the town’s trustees including Jeff Weiner and Kathryn Bruce. 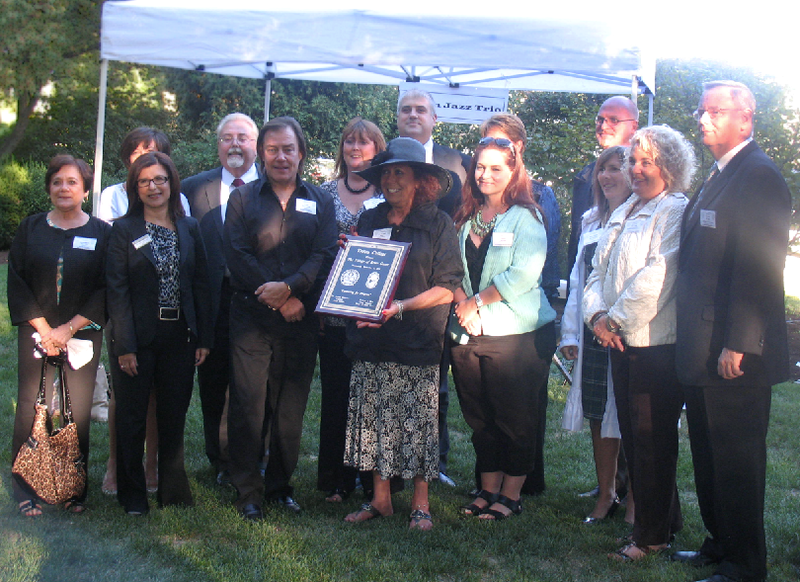 The village was awarded with an award for excellence by Triton. During the award ceremony, President Granados filled the crowd with fun facts about the village before it became the one that is before you today. Did you know that the village used to be a ski jump and that the village holds the Guinness Book of World Records for having more dead corpses than living residents (fun fact or sad news? you decide). Attendees to the event were treated to lovely music by the Triton Jazz Trio who did a great job setting the mood. Finger foods for the guests made the evening even more festive. The Honor Day was an event to thank the citizens and officials of the Village of River Grove for their continued support of Triton College. Although the event only lasted a couple of hours, the relationships and networking opportunities that people got from it will last a lifetime.